Are there magical dwarfs in your world? The remnants of dwarfs and elves of long ago are poor representations of the powerful creatures of the ancient natural world of spirits. Santa’s elves and garden gnomes with their pointed hats are an affront to the long standing history of these special, magical beings. Lecouteux takes us on a scholarly adventure, searching through extant literary and mythological texts in search of the creatures that survive in bits and pieces from the oral traditions that existed before the demise of agricultural societies. Many of you won’t be surprised to learn that the rise of Christianity coincided with the degradation of nature spirits. But there is something in human nature that clings to the natural cycles and the energies that attend to them. 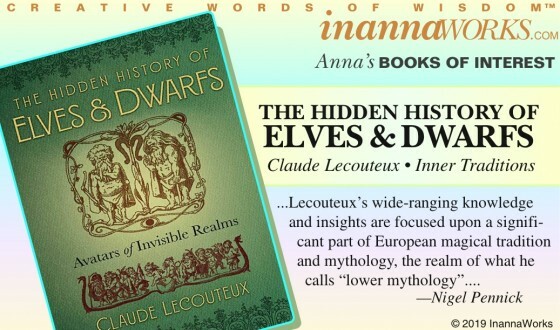 Perhaps the most powerful premise Lecouteux puts forth is the connection between dwarfs and the spirits of deceased ancestors. Were they long ago one and the same? This is not a light read, but everyone who invokes nature spirits for ceremonies or invites faeries to live in their gardens needs to read about the original sources that modern interpretations have derived from. I came away with an entirely new respect for the beings I have, up to now, only been superficially acquainted with. 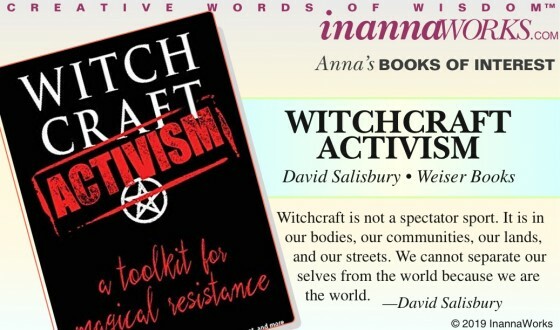 SHOP FOR THE BOOK. Would you go Yokai hunting? 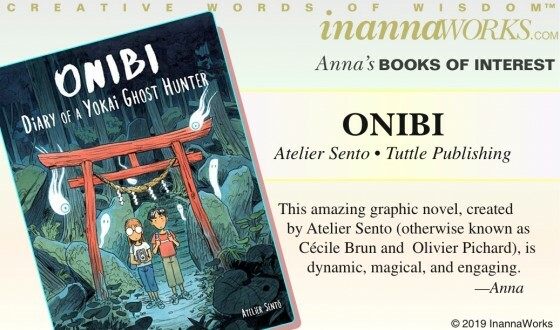 This amazing graphic novel, created by Atelier Sento (otherwise known as Cécile Brun and Olivier Pichard), is dynamic, magical, and engaging. It takes us on a tour of old, almost forgotten Japan, through old villages, mountains, forests, and shrines to meet eccentric local villagers and the spirits that they live with. The illustrations are mostly accomplished using watercolors and colored pencils. The words are sparse but convey an incredible amount of information to round out the evocative images. Readers truly feel that they have come to know all the people represented in this journey. Cécile and Olivier become our friends as we watch them hunt for ghosts to photograph with the mysterious camera they have acquired. It was 27 years ago when Stephen Nachmanovitch published his best selling/still selling classic Free Play. It has become a bible for those wishing to learn the art of improv. 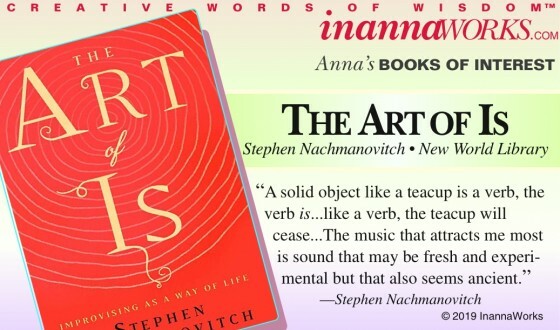 Now Nachmanovitch has written a new master tome on the art of improvising in life. He warns us that improvising doesn’t mean not preparing, it just means learning how to let go of the preparation and connect with the moment. He cites by way of example, Martin Luther King’s famous “improvisation” for his I Have a Dream speech. Prompted by Mahalia Jackson (“Tell them about the dream, Martin.”), he pushed away his notes and spontaneously told the world about the dream. Nachmanovitch, who’s province is improvisational violin, tells readers that it doesn’t have to be an historic moment for improvisation to be life-changing. He warns us that skilled improvisation can be a destructive force if applied without a creative basis; true creative improvisation needs to be connected and responsive to other’s needs. He lets us know that, in improvisation, there are no mistakes; missteps lead us onto a new path to explore. He tells us how Buddhist practice informed his improvisational skills; making art is not a display but an awakening. He introduces us to Wabi-Sabi; the patina is the prize. 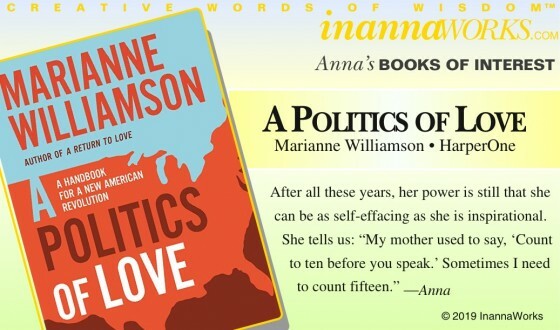 I first heard Marianne Williamson speak at the Universalist Unitarian Church on the upper west side of Manhattan in the early 80’s. I paid $7 to sit on a folding metal chair in the church’s auditorium. She introduced me to A Course in Miracles. I was awe struck. I went back to see her almost every month after that for years. Having begun my own spiritual journey, I found that, a few weeks before she was due back in New York, I would be challenged with a dilemma that I couldn’t resolve. Always, at her evenings in that auditorium, I would receive the guidance that I needed to understand the issue I was being faced with. I felt like she was speaking just to me, yet I understood that everyone in the auditorium felt the same thing. It’s the miracle of A Course in Miracles, and Marianne’s gift. I remember the evening when she told us that her book, A Return to Love was about to be released. “If you’ve been coming to hear me speak,” she said, “you don’t need to buy it. You’ve already heard everything that’s in it.” And then she went on Oprah and she became famous. When I went to hear her speak after Oprah, I watched the energy descend from above into the top of her head and out through her throat chakra to the audience. By then I was also a little skilled at the channeling thing, so I knew what I was looking at. She was perfect that night, in my opinion. She hit every note the “Invisible Helpers” sent through to her and every note connected to the audience perfectly. She was a perfect 10—and I was bored. I drifted away, only to revisit her at lengthy intervals to check in. Tears to Triumph was one of those reconnecting points. I loved it. Now she’s running for president and has released A Politics of Love simultaneously. I tend to be a skeptic. But as I read A Politics of Love, I once again got an answer to a dilemma I was pondering. The answer this time is that there is no answer. There is only choice. We have come full circle. Do we choose love or do we choose fear? She spells it all out in the concise, powerfully-charged phrasing that is her trademark. 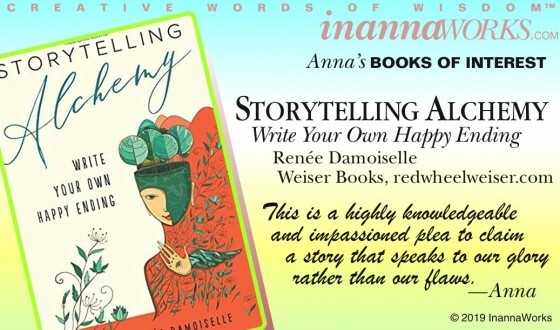 For almost a decade, Damoiselle has been teaching others how to rewrite their personal stories to heal their pasts and empower their lives going forward. She learned how to do that by surviving her own highly abusive childhood. 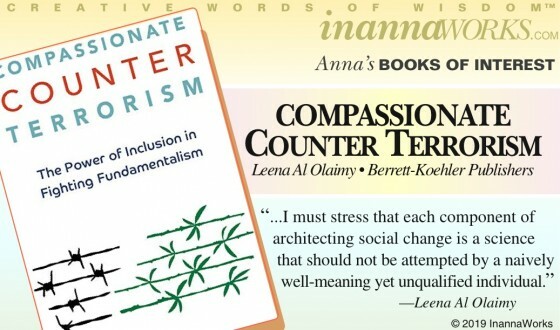 She not only discusses the impact of science, philosophy, and religion on readers day-to-day lives, she successfully combines the mundane with the magical in order to accomplish transformation in those lives. She zeros in on seven essential tools: understanding the mind-set that is associated with a personal experience, journaling, meditation, ritual, sacred space, sacred senses, and dreams. She describes each tool in depth as she makes the case that writing can be transformative. She tells readers about the different forms of storytelling (dating back to the Sumerian Gilgamesh epic from over three thousand years ago). She then explains why she chose the fairytale as her own personal story form. A series of specific exercises helps readers learn to take a personal experience and turn it into a fairytale with an empowering ending. Then she teaches readers to charge their fairytales (hypersigils) and create rituals based on them. Do spirit entities participate in the Material World? 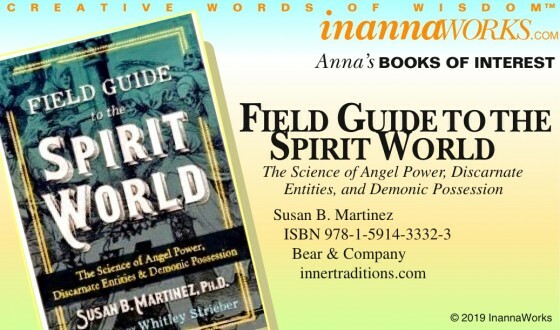 Now Susan Martinez, who has a doctorate in anthropology from Columbia University, has written this book about encounters in the spirit world that run the whole gamut from selfless helpers to those trapped by their attachment to the material world (I would call them misguided lower astral plane entities). She tells us that a “negative psychic” is one who is “open but not developed, not schooled in vetting psychic input”. She backs it all up with an extensive bibliography. What she discusses resonates completely with my personal experience with entities from the other realms — and I have been awakened in the middle of the night by rotting corpses stroking my cheek while snarling dogs circled my bed. (Paralyzed, I repeated the mantra I learned from Christian Spiritualist Reverend Shari, “Be gone in the name of Jesus Christ and don’t come back” until I could sit up and turn on the lights.) Not to tempt fate, but these spirits now generate sympathy rather than fear in me. Are we on the verge of a Biblical global shift? Celebrated astronomer and astrologer, Don Cerow, believes we are. 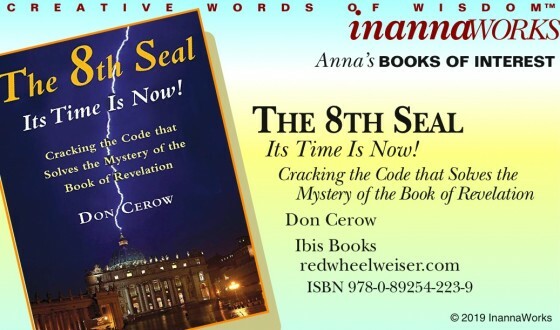 He combines his understanding of the heavens with his knowledge of mythology and religion in this unparalleled interpretation of the symbolism of the Book of Revelation to make his case. He includes charts and graphs to make it easier for non-astronomers to follow his line of thought as he presents evidence that, though cryptic, the Book of Revelation follows a direct path through astrological events (the most recent being in 2013) as it presents its prophetic visions. The Age of Pisces, the age of faith, has ended (although there are still death throes). The Age of Aquarius, the age of lightening, has begun. The earth itself will be radically altered by the shift. We are seeing the beginnings of that now. Are Mom-and-Pop businesses a thing of the past? First there was ALIBABA (a classic under dog adventure tale). Then there was The 2008 Olympics in Beijing (marketing raised to a level that has no word to describe it). Then there was Crazy Rich Asians (all that extravagance but aren’t they fun people—and so kind-hearted at their core). Now Ming Zeng tells us about the fourth business revolution (after Industrial, Managerial, and Knowledge). The fourth business revolution, as he sees it, is Creativity. As an artist, I didn’t realize until he started seriously using the word creativity at the end of the book, that that was how he hooked me. And once I was hooked, I was exhilarated. He’s describing a future I can look forward to. 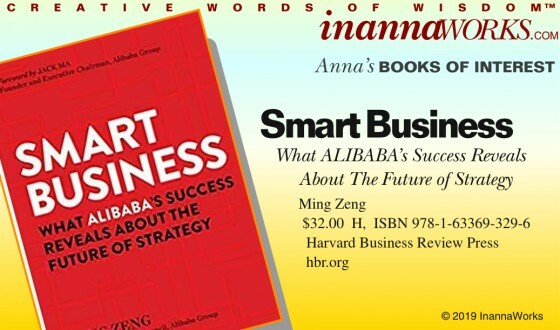 Contrary to the “1984” inspired images of masses of people in gray uniforms marching in step under an authoritarian, digitally-empowered tyrant, the portrait of Alibaba’s China that Zeng paints is of underserved individual consumers and businesses being empowered by online technologies, joining the global marketplace, and creating a new economic base that is inclusive, flexible, and open-ended. And that’s what Zeng says this is all about. Empowering individuals with a massive network, but one that communicates constantly and processes data in real time. That means that every action an individual takes online helps to create the future. It gives new meaning to the concept of voting with your pocket book. Something’s going on here. Zeng tells us that it’s inspired. He says that Alibaba’s algorithms are created to search for small businesses that are successful (answering the Mom-and-Pop question I started with), not just the businesses with the highest numbers. He says it’s redefining the idea of an ecosystem. It’s exciting. I hope he’s on to something here. I hope that it’s something that can’t be high-jacked by silo-style competitors.